The value of pipe #018 is n/a points. Bill Unger, a generous soul and a founder of the North American Society of Pipe Collectors, heard of my interest in these pyrolytic graphite pipes, and sold me his entire collection of six. 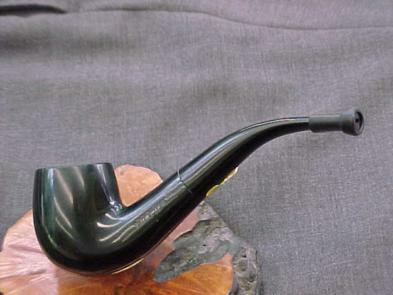 When I got a better example, I traded this one to Guy Smith for a meerschaum he desperately wanted to get rid of.